Our work at disana is dedicated to producing fabrics which meet the highest ecological demands. 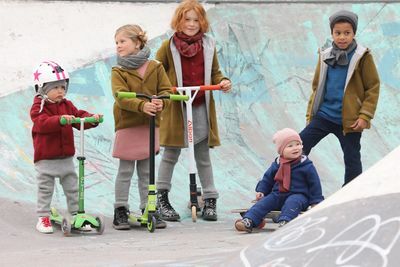 Whether these are articles from our children’s clothing range or from our home textiles series, as well as functionality, the main focus is always on eco-friendliness. We are a founding member of the International Association of Natural Textiles (IVN) and are committed to adhering to its guidelines for natural textile production; these are recognised as the most comprehensive, strictest guidelines inthe world. Strict compliance with environmental and social standards is just as much a part of these guidelines as full transparency during the acquisition and processing of raw materials. Thus, disana was one of the very first companies to receive the BEST organic textiles label and Global Organic Textile Standard label for many of its products. This sign of quality is conferred after a long, extensive certif cation and testing process, and indicates organic textiles of the highest ecological quality. We believe in pure, unspoiled nature right from the moment we select our raw materials. Only organic cotton and organic pure new Merino wool which has been independently inspected and certified is used for our disana articles. We are not only concerned about avoiding contaminants in the fibres of our thread: people’s living conditions and environmental protection in the countries where they are cultivated are also important criteria we bear equal responsibility for, just like all the other links in the production chain. When selecting our suppliers, we trust in partnerships, many of which have lasted for years. Our suppliers are also obliged to comply with the IVN guidelines, as we do, and provide us with detailed documentary proof. Every working stage, every substance used in production and every auxiliary material is checked for conformity with these guidelines, their use precisely monitored and recorded. This process is often very complicated and generally also more expensive, but it is the only way to ensure that all production steps meet our high standards for craftsmanship and ecological quality. The threads and fabrics thus produced are processed exclusively at our works and nearby partner factories so that we can constantly monitor all steps of production and take action when required. A lot of details make this process a success. It is not only the threads and fabrics which are subject to strict regulations: the ingredients and additional materials such as sewing thread, buttons, etc. – even the lubricating oil in our knitting machines – have to be checked for conformity with the guidelines and their usage documented. Yearly certification by independent institutes and regular analysis of samples provide documentary evidence of our hard work and make the production of our organic textiles even safer.